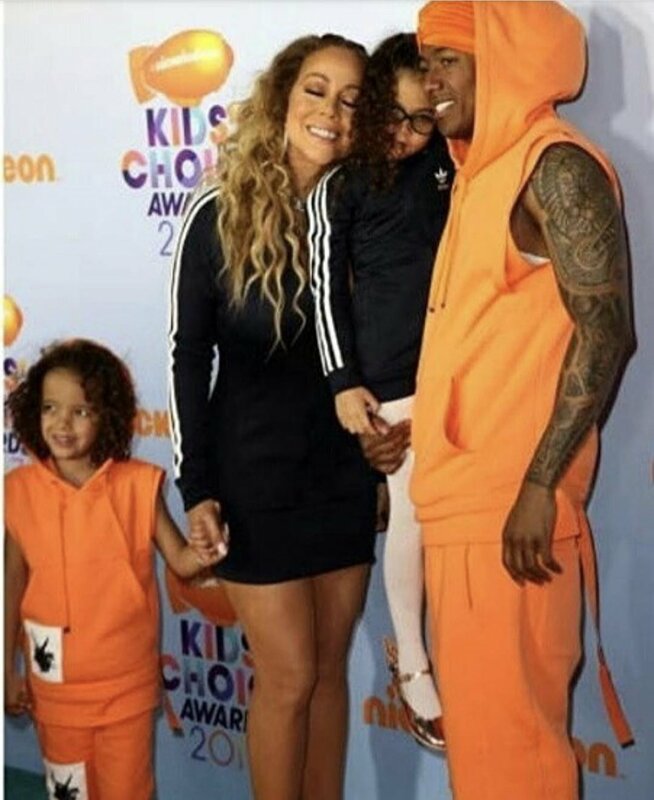 Mariah Carey and Nick Cannon brought their 5-year-old twins to Saturday's Kids' Choice Awards show in Los Angeles. Carey and Monroe wore matching navy blue ensembles to the event, while Cannon and Moroccan were decked out in orange. The family smiled as they posed for photographers on their way into the ceremony, which presents fan-voted prizes for music, movies and television. Carey and Cannon married in 2008, but split up in 2014. Their divorce was finalized in 2016. Cannon announced last month that his ex-girlfriend, Brittany Bell, had given birth to their first child, a son they named Golden.